So I use to HATE coconut unless it was shredded and covered in chocolate. Then I could tolerate it. I’ve slowly forced myself into liking coconut water because it’s just so refreshing to drink after a hike up a mountain and supposedly good for you. For some reason, I love trying new health trends even though I love my junk food too. Goji berries anyone? I impulsively bought a coconut at Whole Foods this week. 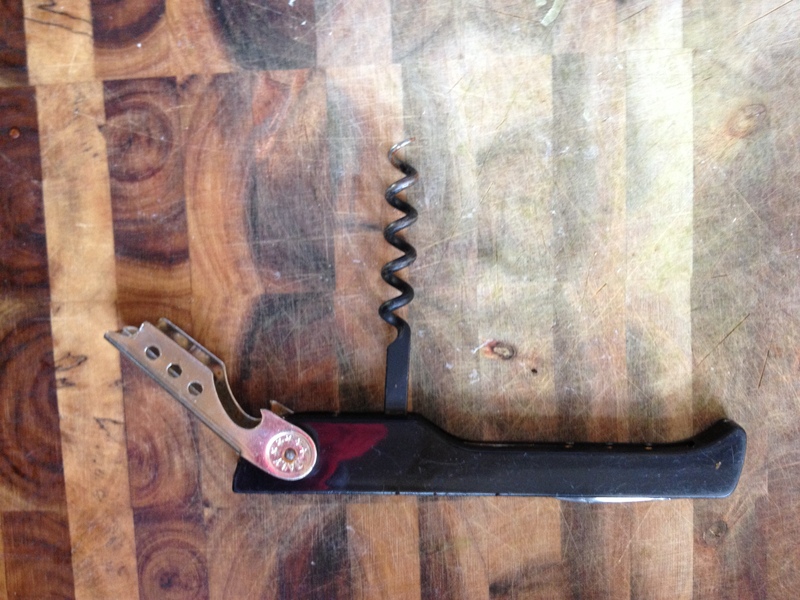 Next, I took a wine opener/cork screw and a mallet (a hammer will work too). I hammered the screw into one bottom of the coconut a few times until I got a hole that went all the way through. 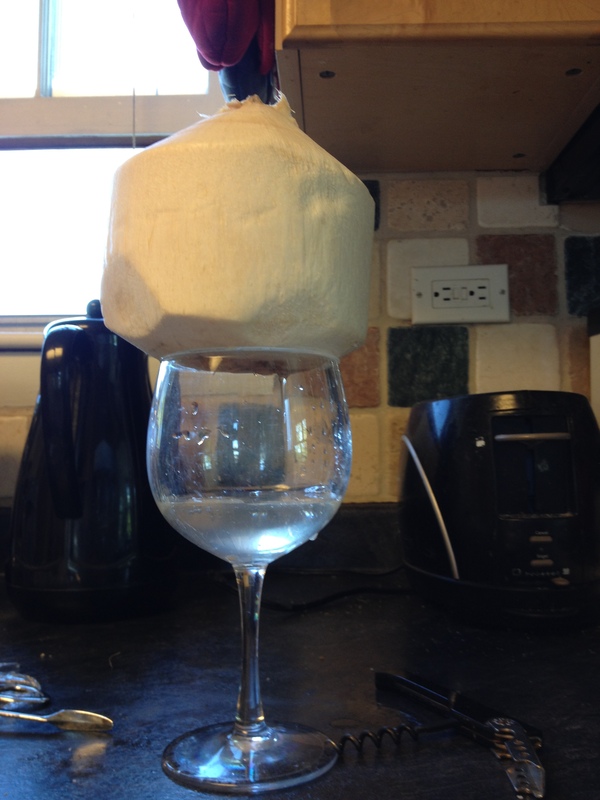 Next, I put the hole side down over a cup to drain the coconut of its water. I got the big wine glass above about 3/4 the way full. While this was a fun kitchen experiment, I think buying organic coconut water with low sugar is cheaper than making it at home. This coconut cost me $3.99 at Whole Foods in Massachusetts. If you live somewhere where coconuts grow on trees, then obviously it’s an affordable fun option! I like the purity organic brand that I tried last time and actually enjoyed. I’ve tried other brands that I just don’t like because they’re too sugary or have an overpowering coconut flavor. Falafel, Arnold Arboretum, Pizza, and babysitting.